During the week of February 10th - February 17th, the Asian market will resume normal. 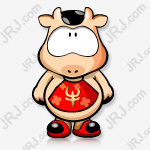 In the previous week, China was closed due to the Lunar New Year holiday, which made the overall trading seem quiet. This week China will release data on trade and inflation, the United States 12 Data on monthly retail sales, December personal spending, December PCE and fourth-quarter GDP due to government closures will also be released. In the case of the central bank, the New Zealand Federal Reserve will announce the February interest rate decision. In the context of the Fed’s main central bank’s monetary policy stances, the pigeons are not allowed to be released. In addition, many Fed officials spoke. The huge team led by US Treasury and trade representatives will continue negotiations on Monday, and investors should pay close attention to the situation in which Sino-US trade negotiations continue to influence risk sentiment. In the oil market, the global demand for crude oil is still not optimistic, and the situation in Venezuela has limited effect on boosting oil prices. Therefore, the OPEC monthly report is still focused on the implementation of the production reduction agreement. The EIA monthly report needs to focus on the expansion of US crude oil capacity. On Monday, the economic data is relatively small, focusing on the UK's December industrial output and the UK's fourth-quarter GDP. Given the high uncertainty of Brexit, consumers are unlikely to dare to treat themselves even during the December holiday. The GDP data is expected to be short-term negative £25-30. 1 Monday (February 11) Switzerland January CPI, UK December industrial output, UK December seasonally adjusted commodity trade account, UK fourth quarter GDP annual rate and UK December GDP. 2 Tuesday (February 12) US vacancies in JOLTs in December, Federal Reserve Governor Bowman delivered a speech on the community bank, and OPEC announced the monthly crude oil market report. 3 Wednesday (February 13) New Zealand announced February official cash rate decision, China January trade account, UK January CPI, UK January retail price index, US January seasonally adjusted CPI, EIA announced monthly short-term energy outlook report, US 2019 FOMC voting committee, Kansas City Federal Reserve Chairman George delivered a speech on the US economy, British Prime Minister Teresa May goal in the British Parliament to pass a Brexit amendment, if the vote fails, the parliament will be on February 14 One step of the Brexit vote. 4 Thursday (February 14) Japan's fourth quarter real-time adjusted real GDP, Germany's fourth quarter quarterly adjusted GDP, the United States as of the week of February 9th, the number of jobless claims, the United States January PPI. 5 Friday (February 15) China January CPI, Italy December trade account, Eurozone December seasonally adjusted trade account, US January import price index, US January industrial output and US February University of Michigan consumers The initial value of the confidence index. On Monday, Japan was closed for one day on the Tokyo Stock Exchange on the founding day. The Bank of England’s pessimistic view of the economy has led economists to adjust their expectations for future actions by the central bank; the Bank of England’s inflation report released last Thursday cut its economic growth forecast to its lowest level in 10 years and expects investment. It will fall sharply. The bank also expects that the economy will experience some degree of idleness in the short term, rather than the previously anticipated excess demand. This outlook is interpreted as the central bank’s position towards the doves. Nomura's George Buckley now expects the central bank to raise interest rates in November; in recent years, Buckley has been optimistic, expecting the central bank to raise interest rates in May. He also expects that the central bank's rate hikes will be separated by nine months instead of six months. At the same time, Citigroup and Bloomberg Economic Research have also postponed interest rate hikes from May to August. In 2019, the United States San Francisco Fed President Daley Daly, who has the right to vote, said that the US economy is slowing down, but it can prevent a recession. If uncertainty increases, it will curb investment and hurt the economy. Daley said that many financial conditions are still more tight than in early 2018. The impact of the lockout problem on the US economy will be reflected in the first quarter, and its impact will be moderate, and the second quarter will be replaced by other factors. The growth of the Fed's balance sheet reflects the increase in the money supply to a certain extent, and the Fed must clearly communicate with the outside world on future balance sheet policies. Former Federal Reserve Chairman Yellen: There are many signs that the US economy is slowing down, but the US economy is still expected to be stable in 2019. The relationship between the job market and inflation is expected to be weaker. The Fed may raise interest rates or cut interest rates. However, good economics will lead to more interest rate hikes. The Fed does not need to implement inflationary pressures in advance. The current Fed relies on data to be correct. The Fed’s simultaneous implementation of interest rate policies and adjustment of balance sheets are confusing. European Commission President Juncker: I don't think that there is no agreement to leave the EU is the most likely outcome. It is impossible to unilaterally withdraw the guarantee bill. The substitute agreement cannot replace the guarantee bill. Can't give up the idea of ​​a security bill. Ireland will not be left alone, need a border guarantee bill, and basically agree with Ireland on the issue of Brexit, and Ireland Prime Minister Vladka has discussed many issues. An article to be published by the European Central Bank shows that “the rise in uncertainty at the global level poses a downside risk to the economic outlook, especially for corporate investment,” the report said, although global trade uncertainty may have adverse effects, the data show The increase in income is expected to continue to support household spending, so concerns about private consumption are relatively light. There are signs that although there are some vulnerabilities, economic growth is “more and more supported by structural and cyclical factors”. The easing of macroeconomic imbalances and structural reforms have strengthened the resilience of the euro zone and made monetary policy more effective. The US Federal Reserve's GDPNowcast model adjusted the US GDP growth forecast for the fourth quarter of 2018 to 2.41%, which was previously expected to be 2.61%; the US first-quarter GDP growth forecast for 2019 was adjusted to 2.17%, which was previously expected to be 2.39%. European stock markets closed down, the market worried about global trade, and the slowdown in European economic growth, which plunged European stocks. The pan-European Stoxx 600 index temporarily closed down by 0.54%, with most sectors and major exchanges falling. The auto sector performed the worst, down 2.19%. US stocks were mixed. The S&P 500 index closed up 1.83 points on Friday, up 0.07% to 2,078.88 points. The Nasdaq index closed up 9.80 points on Friday, up 0.14% to 7829.28 points; Dow Jones index on Friday It closed down 63.30 points, or 0.25%, to 25,106.26 points. The price of gold has maintained a momentum of volatility, and concerns about economic growth in Europe and elsewhere have supported the price of gold. However, the price of gold has also been limited. This week, the strong dollar has limited the rise of the price of gold. The price of gold is still above $1,300. Spot gold held steady at $1,314.17 per ounce. The US COMEX gold futures settlement price rose by $4.30 to $1,318.50. Oil prices stabilized at a low level in the week. US crude oil prices fell 4.6% this week, recording the biggest weekly decline this year, which was dragged down by the global economic slowdown and the strong dollar. US West Texas Intermediate crude oil futures closed up 8 cents to $52.72 a barrel on Friday, closing down 4.6%, the biggest weekly decline this year. International Brent crude oil futures rose 51 cents to $62.14 a barrel, down about 1% this week. On Friday (February 8th), the US dollar strengthened further and rose above 96.50. Non-US currencies generally weakened, with the euro falling more, and the Australian dollar and New Zealand dollar fundamentally stabilizing. European economic growth is weak, economic growth is expected to be lowered, Europe's political situation is unstable, and other factors are putting pressure on the euro. Sterling against the US dollar remained volatile, the UK's Brexit uncertainty, and the Bank of England cut inflation expectations to put pressure on the pound. In the second half of the week, the pound rebounded, and investors sold the expected purchases after the Bank of England’s decision, pushing up the pound. The Australian dollar fell sharply this week, mainly due to market worries about Sino-US trade negotiations, while the RBA chairman said that it would not rule out the next rate cut, which plunged the Australian dollar. The US dollar against the Canadian dollar fell back this week, oil prices fell, global trade tensions are under pressure on the Canadian dollar, but Friday's strong employment data in Canada suppressed the Canadian dollar fell from a week high. "Russia Today" (RT) quoted foreign media on February 9th as saying that the source of the US-funded Venezuela state-run oil company PDVSA informed its oil joint venture customers to deposit funds into Gazprombank. . According to reports, PDVSA's joint venture partners include Chevron, which is headquartered in the United States, Total, France, and the Norwegian National Oil Company. [French "Yellow Vest" Campaign Week 13: Protesters claim "will not stop"
The French “Yellow Vest” campaign launched street protests for 13 consecutive weeks, and more than 50,000 people participated in the law. In Paris, clashes between protesters and the police have revived, and protesters have declared that they will not stop on social networking sites and on the streets. According to the French Ministry of the Interior, at least 51,400 people participated in street protests on the 9th, and there were about 4,000 people in Paris alone, less than 5.8 million in the whole week and about 10,000 in Paris. The Paris Police Department said that 39 people were arrested on the 9th. The 55th Munich Security Conference (Mu Angel) will open in Munich, Germany on the 15th. German Chancellor Angela Merkel, who will attend this important summit in the global security field, said on the 9th that she will actively voice the maintenance of the multilateralism system and promote its further development at this session. The 55th Mu'an will be held from the 15th to the 17th of this month. Merkel made the above remarks when he delivered a video speech on the 9th. Merkel said that for her, the most important issue in the field of security policy today is "how do we want to cooperate". She pointed out that the concept of “cooperation is more beneficial than taking confrontation” is now controversial. To this end, she will actively voice the attendance of this session of the Mu'an Conference, and encourage the survival and further development of the multilateralism system. Merkel also said that Mu'an will not only discuss traditional security issues, but also seek new ways to deal with emerging threats such as extreme Islamic terrorism. At the same time, it should also focus on important issues related to sustainable development such as climate change and African development. Foreign media reported that with the expansion of US-Indian disputes over trade and investment policies, the US Trade Representative Office (USTR) may consider withdrawing the preferential treatment of “zero tariffs” on the products that India currently enjoys. Since the United States introduced the General Preferential Treatment System (GSP) for some developing countries in the 1970s, India has been the biggest beneficiary of the system. If this move is put into practice, it will become Trump's ruling. The "serious punishment" that has been taken against India since. According to reports, the Office of the US Trade Representative will soon complete an assessment report on whether India should enjoy the status of the GSP beneficiary country and is expected to release the results in the next two weeks. Under the pressure of the United States, German Finance Minister Schultz said during his visit to London on the 8th that Germany did not want to fall into trade friction with the United States. "Growing tariffs is not a good idea," he said, not wanting confrontation between the United States and Europe. Venezuelan President Maduro said on the 8th that he did not accept the statement made by the Venezuelan International Liaison Group meeting one day earlier, emphasizing that the re-election of the presidential election is not a priority for the Venezuelan government. The current focus is on restoring growth as soon as possible. He also called on the United States to immediately lift the financial blockade and sanctions against Venezuela. Maduro’s stern words on the day rejected the “assistance” provided by the United States to Venezuela. He said that the so-called "humanitarian assistance" in the United States is not only a "humiliation" for Venezuela, but also a preparation for military intervention in Venezuela. Maduro said that Venezuela's current funds and assets of nearly 10 billion US dollars have been frozen due to US sanctions. If the United States really wants to help Venezuela, it should immediately cancel the financial blockade and sanctions. An executive of the International Monetary Fund (IMF) warned that leaders in some of the world's largest countries are not prepared to cope with the consequences of a severe global economic slowdown, which is dangerous. David Lipton, IMF's first vice president, warned that, especially, governments will find it difficult to use fiscal or monetary measures to deal with the next recession, and cross-border support mechanisms such as central bank swaps have been undermined. This is not the first time the IMF has warned the global economy. On January 21st, the IMF lowered its global economic expectations, which triggered market worries and caused a drop in international oil prices. The 2019 Global Economic Outlook report released by the ICBC International Research Team recently stated that China’s “stable growth” policy mix in 2019 will be proactive, and the economic growth rate is expected to reach 6.6%, showing “before low and high” for the whole year. Trend. Cheng Shi, chief economist, pointed out that although the downward pressure on the economy should not be underestimated in 2019, the release of the supply-side reform dividend and the improvement of the economic structure will become effective buffers, including the marginalization of monetary policy and the acceleration of fiscal policy. Relevant “stable growth” policies such as timely adjustment of financial supervision and re-starting of reform and opening up are also expected to work together to enhance the effectiveness of policy. During the Spring Festival holiday, overseas major stock indexes rose and fell; the global economy was expected to improve, crude oil prices fell; affected by the sharp decline in the euro, the US dollar index rose, gold prices fell due to the trend; other metal prices were mixed. 【CITIC Securities: The Shanghai index is expected to hit 3,000 points in the short term, and the rebound is expected to continue until the two sessions. CITIC Securities issued a letter that it is expected that this round of rebound will be based on valuation repair. It will continue until around the two sessions. The Shanghai Composite Index is expected to hit 3,000 points. Compared with the pre-holiday level, the short-term expected rate of return is around 15%. It is expected to be the past. The strongest single month performance in a year.